I am writing this to say thank you. I was doing research on The Rainbow Warriors, when I came upon your space marine picture in google images, it was and is the inspiration for my army. Feel free to check them out on my flickr page. You truly were the inspiration for this army, and I didn’t even know who you were until now. Thank you sir. Nice work! I’m glad to see more and more Rainbows Warriors appearing over the years. Founding: They are one of the Thirteenth founding under the scrutiny of the Inquisition and Terra are fully aware of them marked as Top Secret Inquisition to observe ONLY. Armour: White with blue flames up their legs. All the information on the 1,000 Chapter project can be found on the ‘projects‘ page. There is a link to submission threads on Bolter and Chainsword and Warseer. The Bolter and Chainsword thread gives details of what you need along with links to resources. I’m not a serious gamer I’m afraid but I really enjoyed your website, it was very well-written, extremely well-illustrated and I enjoyed your novel perspective on history. The Dark Age of Technology is a really interesting concept seldom explored in any depth so I really enjoyed reading your account! Please keep updating. Hello I was wondering if I could use your idea for “The Certified”, I think they are awesome lol. Thanks. I’m curious what you want to use them for? An army, fan fic, computer game mod? Nice stuff. Working on an Eisenhorn screenplay for realistic-CGI adaptation, came here due to your nice Astartes size chart on a wiki. Great stuff, let me know how it goes? Yep, I’m still working up all that stuff! At the moment the focus is very much on the WarSpike quick start/ basic rule set PDF. It’s coming along nicely, but it has undergone a ton of revisions as I refine what I want from it. I’ve been pondering about writing some comic scripts for stories that take place in the Ecorium. The plan is to definitely keep you in the loop of it all since it is your concept. Me and some friends hope to be able to release a magazine sometime next year. It will be pretty much based on the Totalitariers stuff I’ve shown you in the past. A weird mix between politics, be it authoritarian, current, or even fictional, popular culture and technology. Technology/science will play a smaller role in it since there is already so much for that out there. However, the magazine will include some articles on current politics/economics which will be spiked with popular culture stuff (I’m planning to write some gender studies stuff based on the Dune novels for example). We also wanted to include some graphic novel material in there. Basically imagine a big mix between a scientific/philosophical/political magazine, 2000 AD, Mad Magazine, Rolling Stone and all that to get the feel right. The Ecorium concept fits in perfectly since it could be a potential future concept that could be used, especially if resources keep running out and our environment becomes more and more dangerous. I’ll look forward to seeing what you come up with! The political aspects of the Ecorium would be interesting to explore, after all they were designed with many outspoken interest group’s wishes taken into account, not just the environmentalists. Many of these interests conflict, yet seem to play out as two sides of the same coin, it all depends on what side you are, and when you are on one side you can’t see the other! (a bit like the idea of ‘freedom fighter/ terrorist’). It sets up questions like – is an Ecorium a ‘gated community’ where a community lives in peace according to their own rules, or is it a prison where they are striped of all rights? Are they really free? In many ways an Ecorium is like a tiny sovereign state. The community is free from outside interference in their governance, but the way the communities organise may result its members not having personal freedoms. Hey thank you very much for your work, especially the Astartes scale diagrams. I would like to take a moment to salute you for producing one of my all time favourite pieces of art for 40k (30k in fact). I still find your False Gods picture quite mesmerising in it’s scale and detail – however, I have no idea what MK of armour the SoH are wearing – or indeed where I can get an accurate model of the helmets they are wearing for my own Spess Mehreens. Could I please persuade you to take some time on your (excellent) blog to go into some detail and discuss your thoughts and the designs – I would be immensely grateful! Wanted to contribute my chapter into your list. Tried using the painter to get the colour I used for my chapter to no avail. Can I send you a picture of my chapter and its symbol? I like your takes on 40k, another reason Adeptus Mechanicus outlaws today’s electronics in your takes on 4ok is: it comes to play when making paranormal subjects are considered Pseudoscience in our universe due to Phase field from Paranormal phenomenon messing with electronics that today’s Scientific equipments uses, thus hampering Scientific Methods from applied to Paranormal Subjects. Really great job! I’m just trying to do something similar (between Chapter insignia and Chapter organization for all legions and main chapters only) but maybe I don’t have to start from the begining. Do you know where I can find the original images you use for scheme color’s canon chapters and legions with a 400×500 resolution? Most of the images for 1,000 Chapter Project were created by Dazzo over on the Bolter and Chainsword forum. You could try and track him down over there. Hi, this page with all the Space Marines Chapters is great! But it lacks the symbols of each chapter. It can’t be seen on the shoulder in the images of the armors. You should add them below every Astartes. Excellent work! I hope one day you finish! Hi Phil, I love Your site!! You’ve done a Great job, especially in the “1000 chapters”! I’m writing a dynamic Space Hulk campaign based on Blood Sharks, And I’d like some further Informations about them… how can I contact You? “Space Marine Morphology”–The average basketball player is not 7’6 but 6’7 tall. As an update it seems someone like Jorge González may be a better starting point. You’d only need to bolt two Jorge González together to get the bulk. How exactly are the STC kits put together in the first place? Are there STC factories as well as ecoria? If so, how do they interact with each other? And what about mines and chemical processing? If a Hive World is not yet depleted of resources, the Ad-Mec may have manufacturing capabilities on it. In this case, the STC kits may be produced within an Ad-Mec compound. Usually, this type of manufacturing is low end. As for mining and chemical processing, this is a collaboration between the Imperium and the Ad-Mec. Only parts of the operations overseen by the Ad-Mec (machinery) while the labour force is often Imperium. I am really impressed by your site, great job with the illustration as well as well written. However I have a question concerning the cover of “False Gods”, on the cover the Lunar Wolves use a certain type of helmet, thinking about the timeline it should be the Ferrum Pattern however it seems fairly influenced by ancient Roman helmets therefore has it just been a personal choice or is there actually a Pattern or name for this model. Hope my English is still understandable (not my mother tongue) and keep up the great work! I was given the freedom make my own variant. The publisher, the Black Library, uses an expanded version of the 40K background, which allows for more variation and nuance in storytelling and illustration. So in a round-a-bout way it’s semi-official this variant exists. For example: Thousand Sons have the ‘Achean Pattern’ variant of the Mark 4 “Imperial Maximus Suit”. We can still see traces of that armour in the current Thousands Sons, so we still know about it. 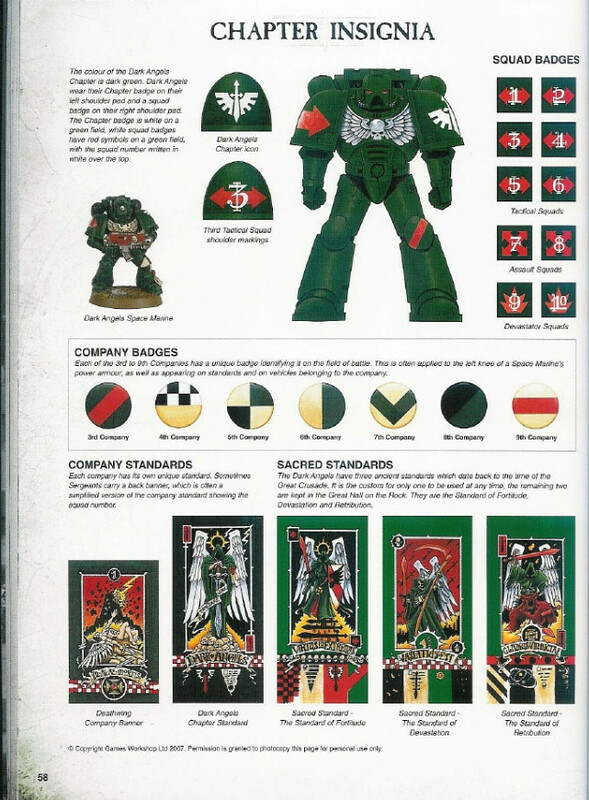 As to why we do no see any trace of ‘Philhammer’ pattern as depicted on the cover, I would suggest that when Lunar Wolves changed their armour when they became the Sons of Horus, that the patten depicted fell out of favour as technology advanced. The Sons always have the latest gear, and turn over was great. After the fall of Horus, any trace of this pattern was gone. The Forgeworld fell, and everything it knew went with it. All records lost/ destroyed. I imagine the cover image as a snapshot in time, and that ‘Philhammer’ pattern of armour is no longer available, and even if it was, other chapters would not use it as they associate it with the Lunar Wolves before the fall. As a result, the only place you’ll ever see that ‘Philhammer’ pattern of armour is on the cover of False Gods. Wow, that is awesome and thanks for the explanation, too sad though, because I loved the models, should be an actually 100% official Pattern in my opinion, really brings out the “Legion” aspect of the pre-heresy marines and their overall structure, etc. wish I could 3D model and design such a Helmet that way (always loved the roman aspects still used by Ultramarines and I think that model would be great for another captain like Sicarius). Am I correct in reading that a single phase field emitter operating at maximum power could (theoretically) create a distortion up to 50% (the great barrier). But in order to go beyond the great barrier (>49.99% phase) requires multiple field emitters and the sphere layout? Btw the idea of using a star’s gravity to provide the momentum for warp travel is an ace idea. Implication is no extra-galactic travel using warp drive. In answer to your question: yep, getting past the great barrier requires a double distortion engine. As for intergalactic travel: it depends on the effect of diving very deep into the warp as all bets are off in ‘the void’.